(Featured) Chamber Board Chair Steve Landaal on Mar. 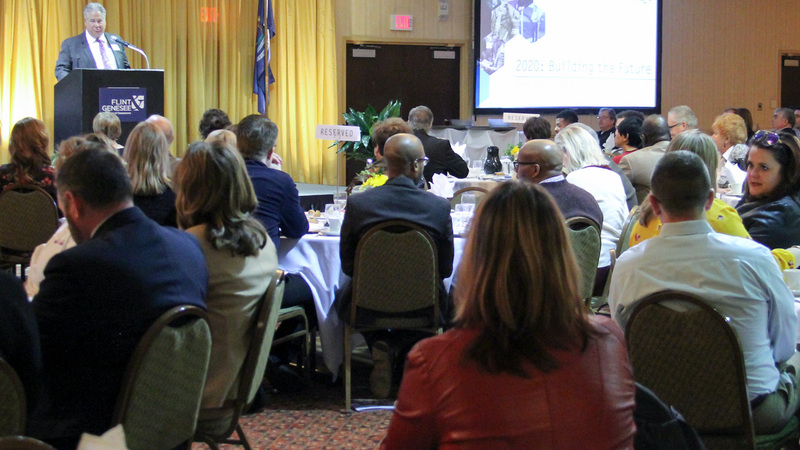 22 addressing the Flint & Genesee Chamber Annual Meeting at the Holiday Inn Flint-Grand Blanc Area. Serenity Yoga, 8469 S. Saginaw St, Grand Blanc, on Feb. 21. A private yoga studio teaching all levels of yoga. Entrepreneurial ecosystem panel discussion at the April 11 Chamber Luncheon. Pictured from L-R: David Ollila, chief innovation officer for Skypoint Ventures; Phil Hagerman, co-founder of Diplomacy Pharmacy, Inc.; and Nick Pidek, owner of Foster Coffee; Tyler Rossmaessler, director, Economic Development, Flint & Genesee Chamber of Commerce. 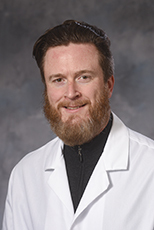 Genesys Heart Institute Physician Group welcomes Eric D. Good, DO, a fellowship-trained electrophysiologist. With over 22 years’ experience, he is an expert in the field of clinical cardiac electrophysiology with diagnosis and treatment of heart rhythm disorders. He graduated from Michigan State University College of Osteopathic Medicine and completed his cardiology residency through MSU. He received an advanced fellowship in Clinical Cardiac Electrophysiology at the University of Michigan in Ann Arbor where he later served as an assistant professor of cardiology. Yeo & Yeo CPAs & Business Consultants awarded Kelly Smith the firm’s most prestigious award – the Spirit of Yeo award, which recognizes an individual within the firm who exemplifies the attributes of the firm’s mission and core values. “Kelly Smith is immeasurably dedicated to this organization and puts the needs of the employees before her own every day,” said President and CEO Thomas Hollerback. 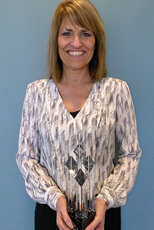 Smith, a senior human resources manager, is based in the firm’s Saginaw office. She is a member of the Great Lakes Bay Chapter of the American Payroll Association. Phil Hagerman received the coveted Bowl of Hygeia Award during the 2018 Michigan Pharmacists Association (MPA) Annual Convention & Exposition in Detroit. The Bowl of Hygeia Award, presented in cooperation with the American Pharmacists Association Foundation and the National Alliance of State Pharmacy Associations, is given to a pharmacist who has made outstanding professional contributions and has participated in community or governmental activities that reflect well on the pharmacy profession. Hagerman has served as chair and chief executive officer of Diplomat Pharmacy, Inc. involving himself in all aspects of the business and operations. He is currently chairman emeritus of Diplomat’s Board of Directors. Also at the MPA convention, Libin J. Philip, Pharm.D., an associate clinical pharmacist educator at Diplomat, received the Fred W. Arnold Public Relations Award. ROWE Professional Services Chairman John D. Matonich, PS, received the Vernon B. Spalding Leadership Award from the American Council of Engineering Companies of Michigan (ACEC/M). Matonich was recognized for his outstanding leadership roles in ACEC/M, several other surveying and engineering industry organizations, and the community. Past leadership roles include serving on Michigan’s Natural Resources Commission, president of the National Society of Professional Surveyors, and chair of the Flint & Genesee Chamber of Commerce. 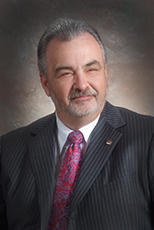 Matonich, who retired as ROWE’s chief executive officer in 2016, continues to serve in several leadership roles, including as a board member of the Food Bank of Eastern Michigan. Goyette Mechanical recognized three employees with Excellence in Service Awards. Kevin Kinasz received the Curt Maser Excellence Award; Jonathon Esper received the George Hier Excellence Award; and the newly created Greg Monzo Excellence Award went to namesake Greg Monzo. The Curt Maser Award is given annually to the Goyette Service Technician that exemplifies excellence in Customer Service, Training and Certification. The George Hier Award is designated for Installation Services as well as Professionalism and customer reviews. The Greg Monzo Award recognizes Outstanding Residential Service. The I-69 International Trade Corridor Next Michigan Development Corporation (NMDC), which promotes business growth in Shiawassee, Genesee, Lapeer and St. Clair counties, in April awarded Certificates of Recognition to three multi-modal companies that have expanded in the region. The companies are: CNX Motion, a Continental-Nexteer joint venture that will develop vehicle motion control systems for automated driving and advanced driver assistance systems; CRUST, a retail and wholesale baker of handcrafted baked goods; Laird, a global provider of end-to-end vehicle connectivity solutions including wireless charging, USB Interfaces, antenna coupling, and telematics control units. The NMDC focuses on firms whose freight transportation includes export and other trade, and require the use of two or more modes of transportation. Hurley Medical Center has been recognized as a Stage 7 healthcare system by HIMSS Analytics. HIMSS Analytics uses eight stages (0-7) to measure a hospital’s implementation and utilization of information technology applications. The final stage, Stage 7, represents an advanced patient record environment where paper charts are no longer used. “This is validation of the high-tech, innovative work that we’ve done to better serve our community,” said Dr. Michael Roebuck, Hurley’s chief medical information officer. “In the past few years we have focused on using our technology to improve our service to our American Sign Language patients, we have written prescriptions for healthy foods at our Farmers’ Market clinic and our own Hurley Food FARMacy and we’ve used data from our system to give feedback to our clinicians to improve the quality of care that we provide.” Less than 5 percent of the hospitals in the country achieve Stage 7. General Motors and Switch are the first participants in a new Consumers Energy program to help large businesses use large renewable energy sources. Both companies are now matching 100 percent of their electric use at key operations in Michigan with wind-generated power. The energy used at Switch’s Pyramid Campus, a 1.8 million-square-foot data center campus in Grand Rapids, and General Motors’ Flint Metal Center and Flint Engine Operations is matched entirely with energy produced by Cross Winds® Energy Park II in Michigan’s Thumb. “Switch and General Motors are leading the way for companies that want to operate efficiently in a competitive environment, yet also make and meet commitments to our planet,” said Garrick Rochow, Consumers’ senior vice president of operations. Genisys Credit Union has once again been named one of the 200 Healthiest Credit Unions in a financial health study conducted by DepositAccounts.com, the largest and most comprehensive online publication in the U.S. dedicated to banking/savings information for consumers. Each institution is graded on a number of factors – including capitalization, deposit growth and loan-to-reserve ratios. Genisys received an A+ health rating, a score only 11 percent of banks in the nation receive, and was ranked 65th out of the 200 healthiest. In addition, Genisys surpassed the 200,000-member mark in March and reached $1.5 billion in loan balances. The architectural firm Gazall Lewis & Associates is celebrating 50 years of service. The company was founded in Flint in April 1968 by Robert S. Gazall, who laid the foundation for integrity, client loyalty, hard work, dedication to design and the importance of community leadership. ROWE Professional Services received a surveying excellence merit award from the American Council of Engineering Companies of Michigan for a project on the University of Michigan-Flint campus. ROWE completed the award-winning survey in January 2017 to prepare for the Murchie Science Building expansion. The project included mapping 1,500 feet of underground tunnels, a winding building configuration and aboveground walkways.